Blog — Associated Staffing, Inc. Bonus tip: these are great things to bring up in an interview as well! You next job interview is a perfect chance for YOU to interview the COMPANY to make sure it's a good fit for you! 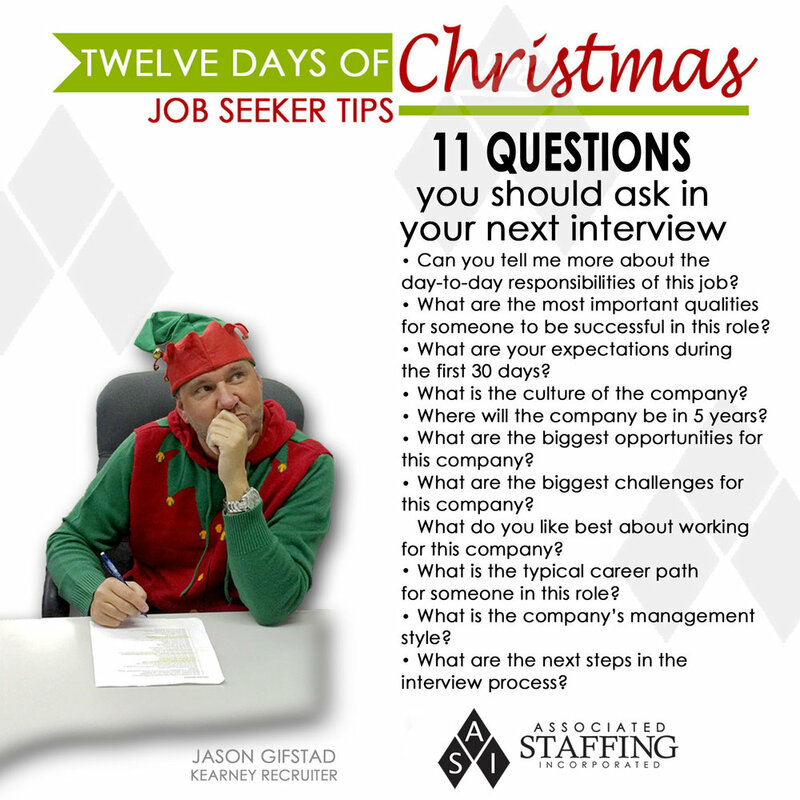 12 Days of Job Seeker Tips! How is it almost Christmas already?! 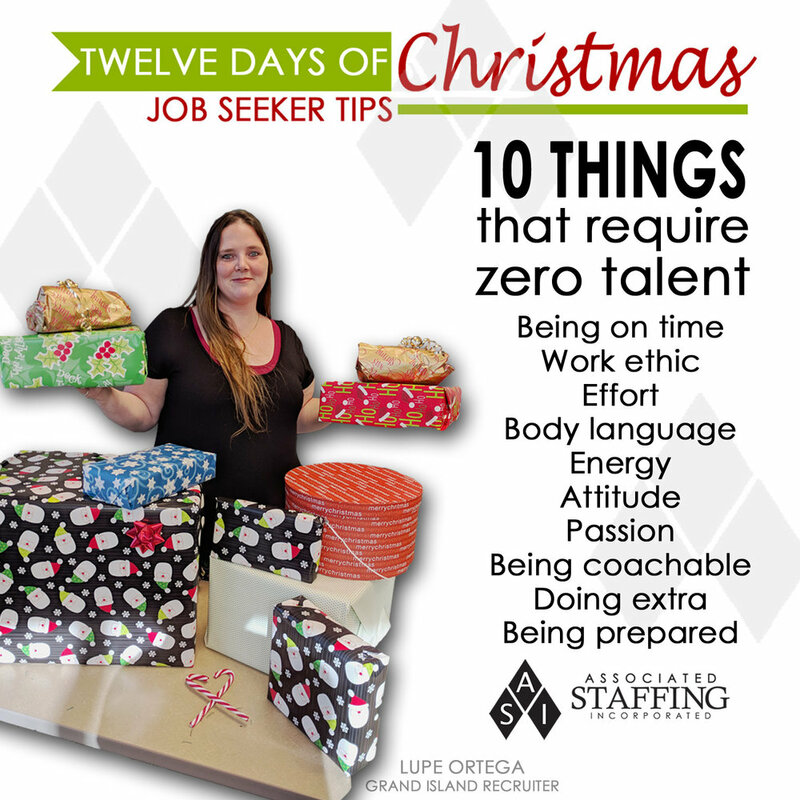 We are counting down with our 12 Days of Job Seeker Tips, featuring some of our awesome staff members! Now there's a view you don't see in Nebraska! Just kickin' it as movie stars! As much as we loved Chicago, it's always good to see Nebraska in your window. Has it really been a week since Heidi and I have been back from Staffing World in Chicago? I feel like I am just now catching my breath from the whirlwind of such a fabulous convention! Check out some of the photo highlights from our week at Staffing World, the American Staffing Association’s largest and most comprehensive convention and expo in the staffing industry! Hosted at the gorgeous McCormick Place on Lake Michigan. Loved brainstorming with other staffing companies while overlooking Lake Michigan! World-renowned speakers such as Mark Schulman (drummer for P!nk), Jonathan Mildenhall (CMO for Airbnb), Mick Ebeling and so many more! Let's go home! Messy hair, don't care. How many days until Staffing World 2018? Too many! Can't wait! Join us in celebrating our 2017 Associate of the Year, Tammy R. from Kearney! Congrats to Tammy and thanks so much for all of your hard work! Did you know Associated Staffing has 5 locations in Nebraska? We serve the communities of Grand Island, Hastings, Kearney, Omaha and Columbus! Since 1995, we've been honored to be your staffing solution! Our passion is placing great candidates in excellent career opportunities across Nebraska. We are proud to employ so many hardworking people in Nebraska! Because it's National Staffing Employee Week, we are recognizing all of our hardworking staff members. 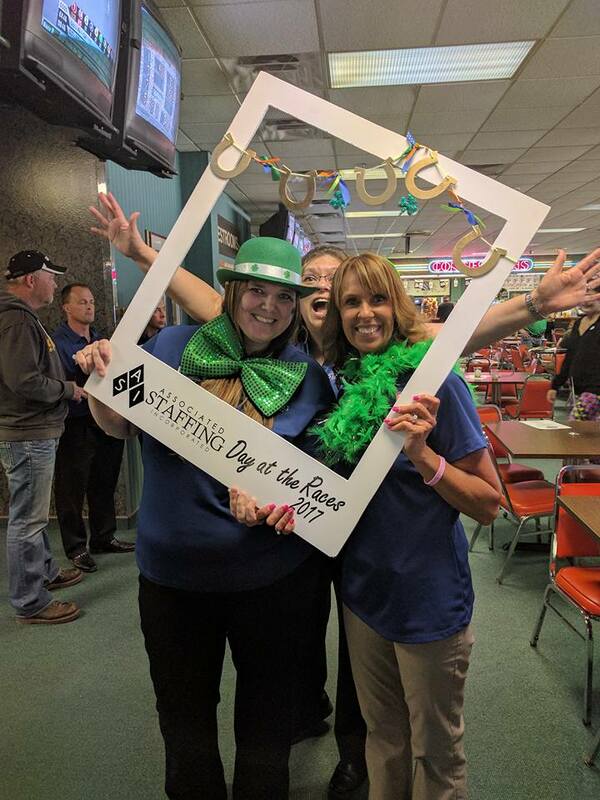 We may be a little biased, but we totally hit the jackpot with our Associated Staffing family! Congratulations to our Employee of the Year, Grand Island Operations Manager, Polly Collins! Polly has been on the Associated Staffing team since January 2016. She was nominated by a variety of her coworkers for her outstanding work and dedication to our team! Polly has made an impact not only on our Grand Island team, but on the entire company. 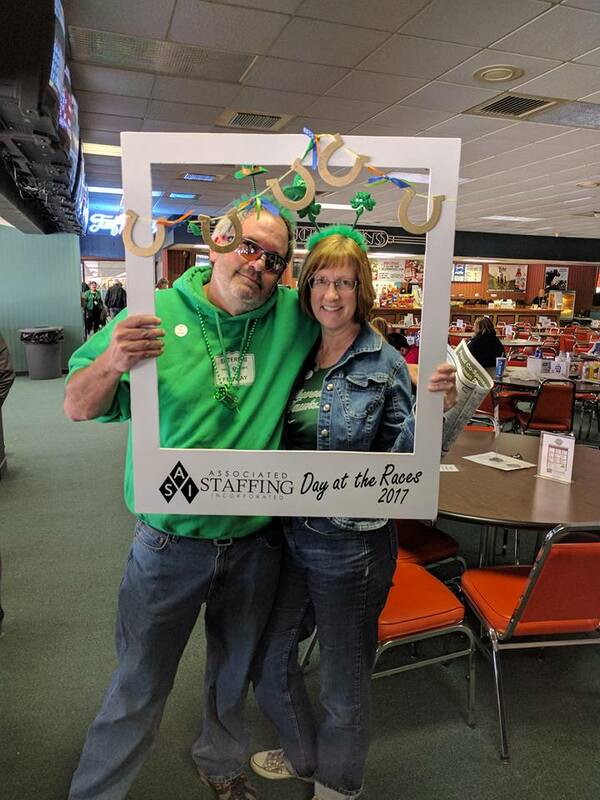 Polly's positive attitude is contagious company-wide and we are so happy to have her as part of the Associated Staffing family! It's National Staffing Employee Week and we are so lucky to have such hardworking and amazing associates on our team! From all of us at Associated Staffing, THANK YOU! We appreciate all of your hard work! Join our growing Kearney team! We are passionate about what we do here at Associated Staffing. We believe a career in the staffing industry is rewarding and life-changing. If you’re ready for a new challenge – a new opportunity to excel and grow – you’ve found it at Associated Staffing. We are currently seeking a Recruiter to join our growing Kearney team! To apply, email your resume to Heidi Isley, Director of Operations, at heidii@associated-staffing.com! We are passionate about what we do at Associated Staffing! Travis, Roberta and Jennifer explain why they love their jobs! June is National Safety Month! Check out these handy tips courtesy of the National Safety Commission! Please help us welcome the newest addition to our Professional Staffing Division, Joal! 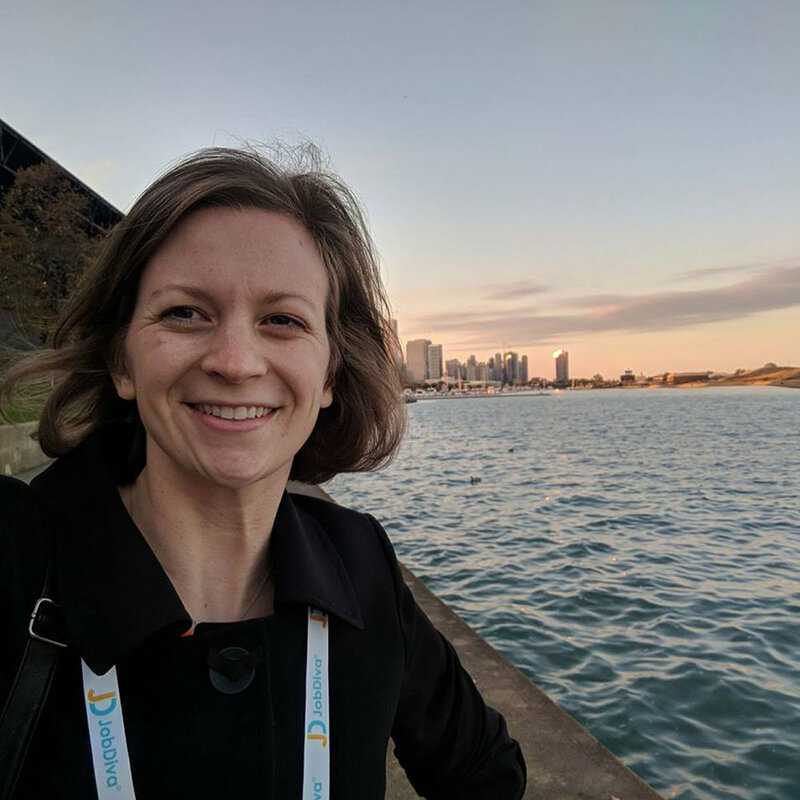 A North Platte, Neb., native, and University of Nebraska at Kearney alumna, Marketing Manager Sarah Mulder has been with Associated Staffing for almost 3 years. Learn a little bit about Sarah! Q: What did you want to be when you grew up? A: Astronaut, author, Air Force pilot, art teacher. Q: What gets you motivated to come to work? A: The fact that I have the ability to create campaigns that allow us to always be one step ahead in our marketing efforts to attract the most talented candidates. I’m a very competitive person! Q: What would people never guess you do in your role? A: I write all of our job postings. We have hundreds of jobs that are posted each month. A: Paris for the food and history; Canada for the goose hunting. Q: What traits define you? A: Laser focused. Innovative. Creative. Q: If you could switch your job with anyone else in the company, whose job would you want and why? A: I would switch with everyone for about a month to learn all facets of the business. However, my home is marketing. Q: What is your greatest achievement? A: I’m really proud of my son. He’s the smartest, most hilarious 3-year-old ever. Q: What hidden talents do you have? A: I had a manager at one of my first jobs out of college that taught me a lot about how to be a female leader in a fast-paced and stressful work environment, leading with high integrity at all times and always having the best interests of your team at the forefront of any decision. Her drive, attitude, outlook on life and leadership skills were tremendous and contagious. A: I love spending time with my family outside – fishing, hunting and going to sporting events. I also love painting, cycling and designing modern, bright and fun quilts! 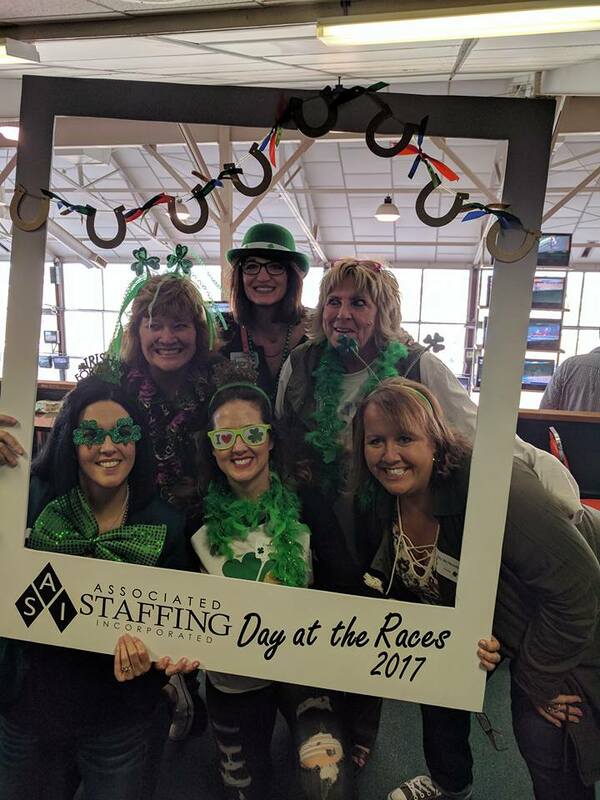 Thank to you everyone who attended our 2017 Day at the Races Business After Hours!